For the bride-to-be, the bridal shower is an opportunity for the women in her life to get to know each other while literally showering her with gifts. They’re there to support her, and the gifts are meant to help her build a life with her fiancé. Typically, the shower happens 6-8 weeks before the wedding. It takes place on a weekend afternoon or evening but does not include a lunch or dinner. The dress code was more formal, but the rules have become casual in recent years. An acceptable outfit would be a nice blouse and dress pants, or a satin dress with heels. Stay away from ratty jeans, t-shirts and sweats. As showers are attended by women of all ages, observe the proper etiquette and social graces. In other words, save the tequila shots for the bachelorette. Now you’re ready to start planning! The first step is finding an appropriate venue. Reach out to close family and friends of the bride first. If that doesn’t work, try for a small, cost-effective venue like a community centre or neighbourhood park (weather permitting). The main requirement is enough space for a few dozen chairs, refreshment tables and gifts. Time to make the guest list. Try to only include the bride’s closest female family members, friends and co-workers. Use your discretion – Grandma Agnes is a must-have, but Agnes’ hairdresser probably won’t be offended if she’s left out. Once you’re satisfied that her nearest and dearest are on the list, send them hand-written invitations to the bridal shower. The personal touch will go a long way. Encourage guests to RSVP by return mail. Although one or two last-minute additions won’t throw off the balance of the party, you’ll need a sense of numbers for food and games. Include a request for a fun item with their invitations, like recipe cards for their favourite recipe or pictures of them with the bride. Collect the favours at the shower to make either a recipe book or photo album for the bride. These gifts are keepsakes that she’ll cherish forever. Be as creative and specific to the bride’s personality as possible. Once you’ve chosen a theme, don’t just stick to flowers and candles – think of little touches that can help to make your bridal shower one of a kind. Hang banners and/or streamers above doorways that will be used by guests or above refreshment tables. In homage to your guest of honour, attach pictures of the bride and groom or baby pictures of the bride to the corners of the streamers. The ladies will get a kick out of seeing the girl she used to be, and the woman she’s become. Personalized items – such as coasters or napkins – are a great touch that will make your guests feel especially welcome. 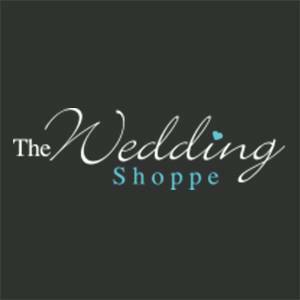 Use a message like “thanks for sharing [insert bride’s name here]’s special day!” or something to that effect. Something you’d normally throw away turns into a souvenir. 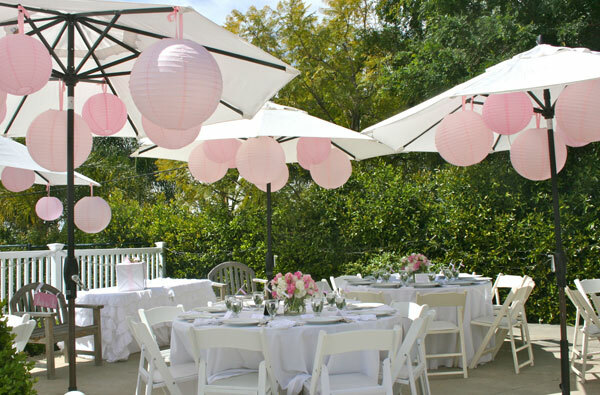 Avoid using balloons – this is a bridal shower, not a 6-year old’s birthday party at Chuck E. Cheese. At a bridal shower, stick with the Three Ds: (hors) d’oeuvres, desserts and drinks. Try spreading the food out on many tables so your guests aren’t huddled around one spot, like buzzards circling a carcass. It helps to prevent anti-social behaviour. Serve appetizers that aren’t messy or meaty in case some of your guests are vegetarians. Mini-quiches, cocktail shrimp rings and spring rolls are perfect sample platters to offer around the room. Dips, spreads and veggie and fruit trays can be left at a table because they’re more cumbersome and likely to spill. Display the snacks using the appropriate serving tray. The Holy Grail of bridal shower desserts is a layered cake, ideally with pastel-coloured icing. Whether you or a professional pastry chef makes the cake, it’s important to serve it appropriately. Presentation is everything. Use a cake topper for a classy finish. As for beverages, serve punch, chilled champagne and wine throughout the shower. Wine glass charms are fun accessories that help them keep track of their drinks. Offer either tea or coffee to go with desert – nothing like a little caffeine to kick-start the sugar rush! Remember – along with your fellow bridesmaids, you are the chef, hostess and waitress of the party. Check on your guests regularly, and make sure their glasses are never empty. BRIDE is a bridal shower spin on the classic game of Bingo. Make Bingo cards with the word “B-R-I-D-E” at the top, a “Free” square in the middle and blank squares everywhere else. Guests fill in each square with a gift that they think the bride will receive. As she opens her presents, the first one to get a straight line wins. Instead of money, guests can play for party favours. Instead of bingo-dabbers, use macaroni shells or candy hearts. Divide your guests into teams of four or five, and each group has to pick a model. With a time limit, teams have to outfit their model with a wedding dress made of TP. The bride chooses the best dress. Make sure to buy a Costco-sized amount of toilet paper! Prior to the shower, send the bride and groom a survey with meaningful questions like “What was the moment you fell in love with her/him?” or “If you could travel anywhere, where would it be?” Compile their answers into a list of quotes where guests circle a male symbol if the groom said it, or a female one if she said it. The person with the most correct answers wins. When guests arrive, hand them a clothespin to pin on their lapel. Tell them the rules: you can’t speak the names of either the bride or groom, and the word “wedding.” If a fellow guest catches them, they must surrender their clothespin to her. The woman with the most clothespins at the end of the party wins a prize. Make a gift basket full of basic groceries from a drug store. Include household items like toothpaste, spaghetti sauce, Kleenex, etc. and itemize them on a sheet of paper. Hand a copy to each guest and ask her to guess the total cost of the gift basket. The guest with the closest guess to the actual price wins the package. This is a fun way to end the shower. As the bride is opening her gifts, secretly record her reactions to each one. When she’s done, read them aloud as a list of things she’ll say on her wedding night. Exclamations like “it’s smaller than I expected!” and “does it come in black?” will leave everyone in stitches. The opening of gifts the last, lengthiest and most sacred ritual of a bridal shower. As guests arrive, reserve a corner of the room where guests can leave their presents. Make a note of the one with the most extravagant wrapping. At the end of the shower, award her hard work with a party favour. Place two chairs in the middle of the presents. One is for the bride, and the other is for the Maid of Honour (or her proxy if she’s MIA). Using a notepad or guestbook, she must take note of what each present is and whom it’s from. Remind guests of the aforementioned games – they’ll give them something fun to do as the bride-to-be opens her presents. When buying your own gift for the shower, refer to the bride’s choices on the wedding registry. House and cookware, like frying pans, bed sheets etc., are a safe and practical choice for any bride. If you prefer a fun twist on a classic gift, opt for something like a margarita maker – it’s less of a blender and more of a party starter. Shortbread cookies or heart-shaped candy also make for good parting gifts. Make sure to say goodbye and thank guests as they leave. As a bridesmaid, you’re the bride’s ambassador – she’ll likely be too busy to catch everyone on their way out the door. Congratulations, you survived the bridal shower! But wait – we almost forgot the most important part. The bride-to-be has to send “thank you” cards to all the guests, and personally thank them for their gift. That’s where the Maid of Honour’s list comes in handy. If the bride asks for your help, set aside an afternoon and arrive with stamps, pens and a bottle of wine in hand. Once the “thank yous” are sent out, take a few weeks to relax before you have to help plan the next party – the Stag and Doe. However, a stag is less common than other celebrations. It’s more of an optional party that usually depends on the couple’s financial status. If they opt out, go straight to Party Phase 4: the Bachelorette.